Quad One Technologies Pvt Ltd hyderabad is looking for fresher BE/ Btech/ MCA/ BCA for the post of Trainee PHP Developers. Posted in Computer Science, Freshers, IT, PHP developer, Trainee Engineers, Training after Btech, Web Design / Development, Web developer. Tags: BE/Btech, engineering, Hyderabad freshers, PHP Trainee, Trainee Developer, Training in Hyderabad on July 15, 2011 by Neeraj. 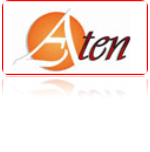 "ATEN INDIA" is looking for Fresher BE/ btech graduates to work on the post of Trainee Game Engine Developers. Experience needed : Freshers with 0 - 1 Years' experience. Posted in Computer Science, Freshers, IT, Job After Btech. Tags: April 2011, ATEN INC, BE/ Btech, engineering, Fresher, Game Developer, Trivandrum on April 7, 2011 by Neeraj. Mani India Technologies (P) ltd recruiting BE/ BTech/ MTech | Fresher Jobs 2010 | June 2010. Posted in Computer Science, Freshers, Job After Btech, MCA, Mtech, Without Experience. Tags: BE, btech, engineering, Fresher Jobs, June 2010, Mani India technologies (P) ltd, Mtech, Recruiting, Tamil Nadu on June 23, 2010 by kavita joshi.